What is the fascination with really, really tiny video cameras these days? I understand the desire for small photo cameras (it’s why I moved to a Fuji X100S recently, from am already small DSLR t3i/40mm combo). 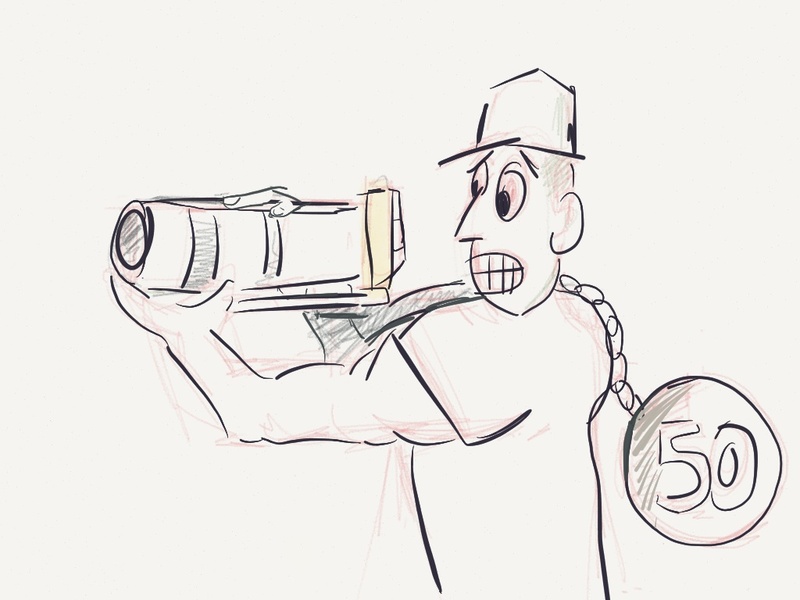 But with video cameras, the lenses you use are still going to be pretty big and heavy. 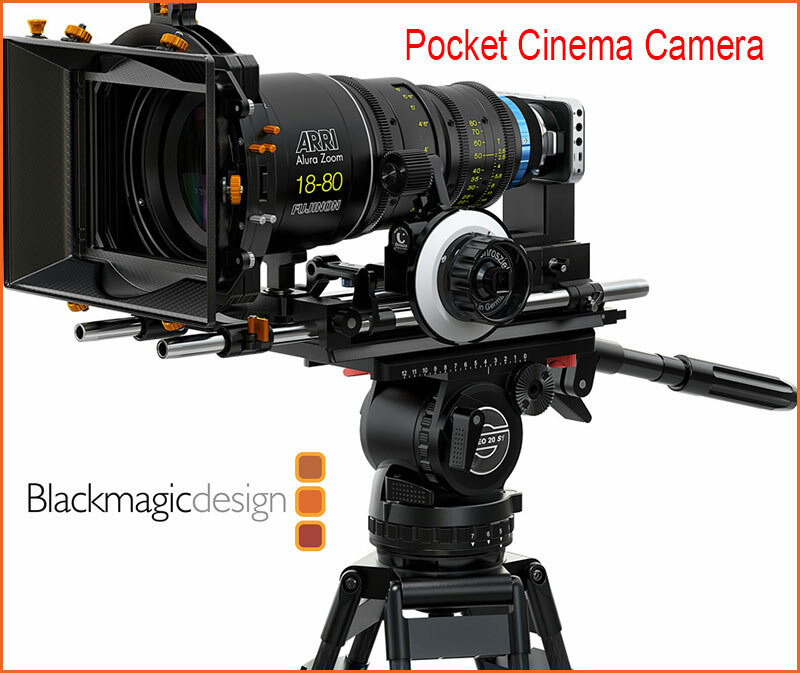 If you’re a video person you probably guessed I’m talking about the Black Magic Pocket Cinema Camera. But it gets even smaller – Sony is making a camera with just a sensor! Soon, the sensor will be the size and weight of a business card. Which will make lenses even more unwieldy. This is the promotional image Black Magic is using. Look at how tiny that thing is, compared to the rest of the rig! On a tripod, it doesn’t really matter. But on a shoulder, this camera would be dwarfed by anything but a pancake lens. I like the size and weight of the small DSLR bodies, but any smaller than that, and it seems kind of counter-intuitive. If you have 40 minutes to spare, I recommend this presentation from over at dslrnewsshooter.com. 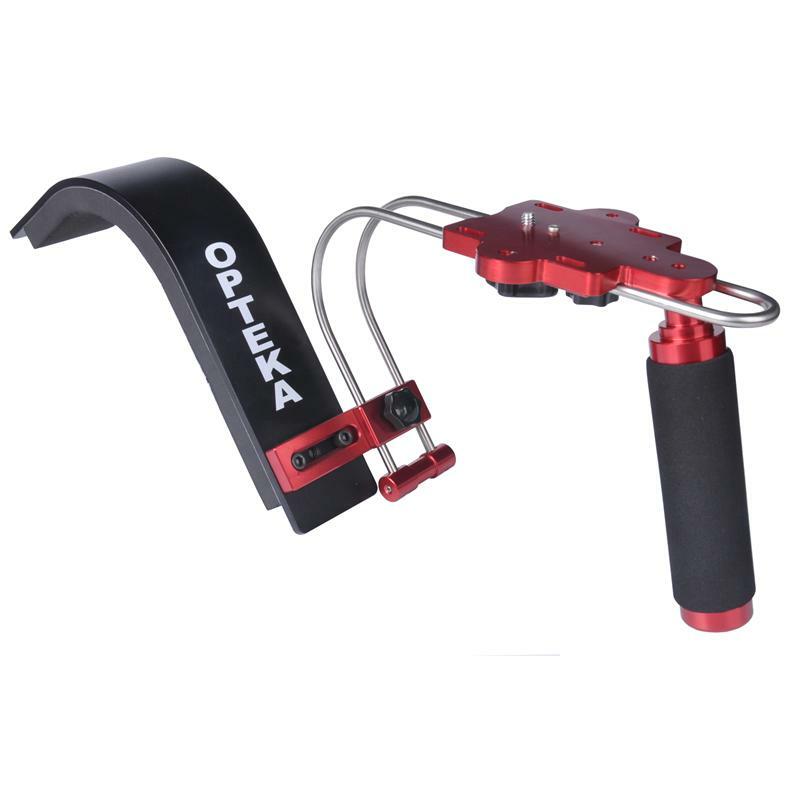 If you have only 2 minutes, fast forward to about 12:30 and you’ll see a few images of “Epic Fails.” Ridiculous rigs. When I put together my first shoulder rig for a Canon 60D, it was with the famous CowboyStudio $20 shoulder rig combined with an Express35 Rig-X rail system, a viewfinder, two handles, I also put a follow focus on the rails. And if you’ve ever used a follow focus while trying to do lens changes, yikes! 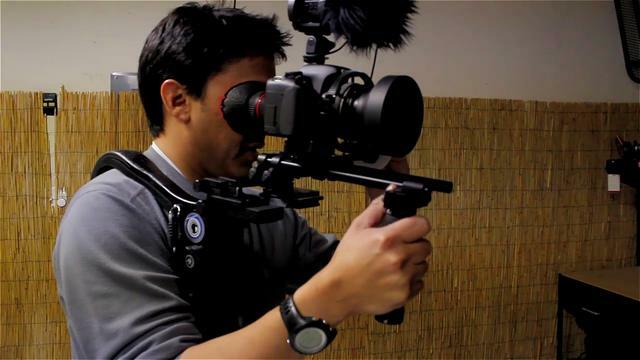 Rod Guajardo reviews this rig on his Vimeo page. 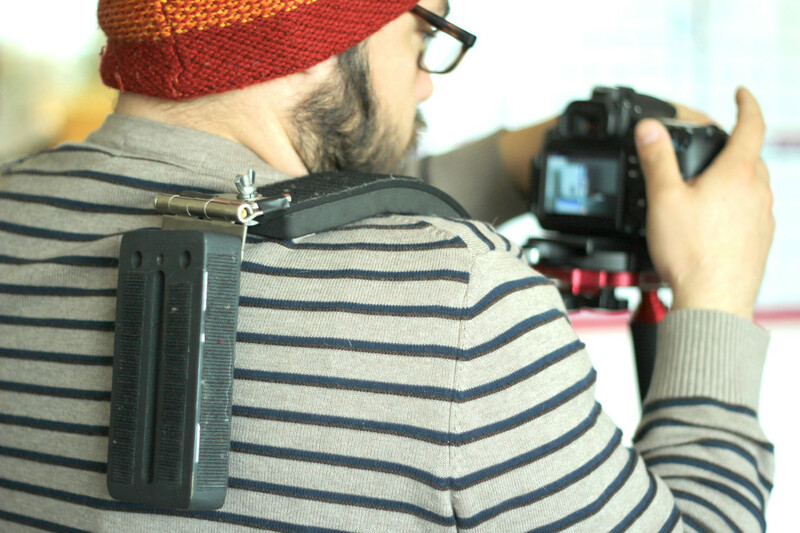 I still use this rig occasionally because it’s light without needing a counter-weight, but it’s not great. Mostly because the bottom of the Cowboy Studio piece rests beneath your chest, so your breathing accentuates the up-and-down motion of the camera. Anyway I’ve tried a number of other rigs since then, and they’re all either overkill or don’t do anything for ergonomics. Now we use this simple rig at work, with a counterweight on a door hinge. Apart from the door hinge creaking like an old abandoned barn, this rig is very comfortable. And here’s the companion counter-weight attached to the door hinge, which hugs you like a best friend. John Norris modeling the door hinged counter weight.